This is to remind everyone out there who scored big on Halloween and came out with bucket fulls of candy, to cough some of that stash up to those less fortunate Trick-or-Treaters. Because if you decide to eat it all yourself there will be pay-backs :). Hahaha anyway this is my submission to this weeks Chades Challenge. 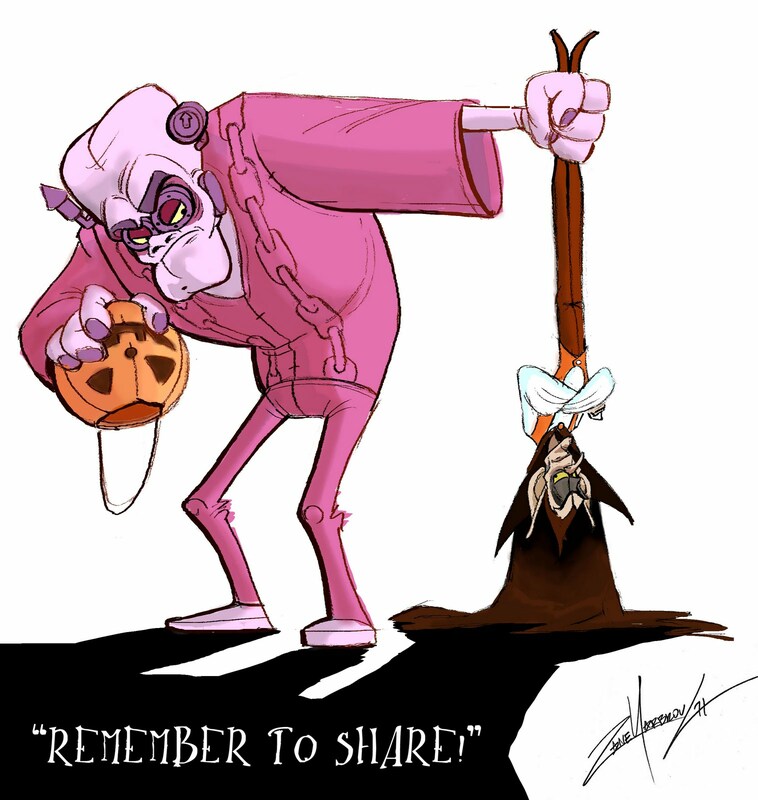 Since last week Austin Madison has been posting up some crazy awesome Count Chocula drawings so please go and take a look each and everyone of them they are hilarious I promise.